Created by the NHS, for the NHS, Care Without Carbon is a simple framework for delivering sustainable healthcare – cutting carbon, saving money and supporting workforce wellbeing. Developed by Sussex Community NHS Foundation Trust, Care Without Carbon provides a multi-award-winning model, designed to meet national policy requirements on sustainability and carbon reduction in the NHS. It is recognised by the NHS Sustainable Development Unit as a best practice approach for creating a Sustainable Development Management Plan. Since its creation in 2013 we have worked across the NHS, supporting Trusts and commissioners on their journey to becoming more sustainable. Care Without Carbon provides a proven framework for developing and implementing your own Sustainable Development Management Plan (SDMP). The beauty of Care Without Carbon is its simplicity. Based around seven steps, it ensures all aspects of sustainability are captured in a flexible and integrated model that can be tailored to suit any NHS organisation. This short video with Director of Transformation and Commercial Development at Sussex Community NHS Foundation Trust explains more about the strategic approach of Care Without Carbon. details of some of the services we offer to other NHS organisations including staff engagement, energy & carbon management and transport & travel services. 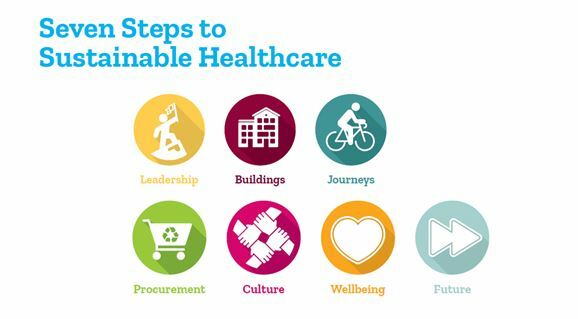 Finally, to find out what is happening to make the NHS more sustainable on a national level, take a look at the website of the NHS Sustainable Development Unit.